Science fiction movies and books have long predicted that in the future, people will move seamlessly between virtual reality and the physical world. 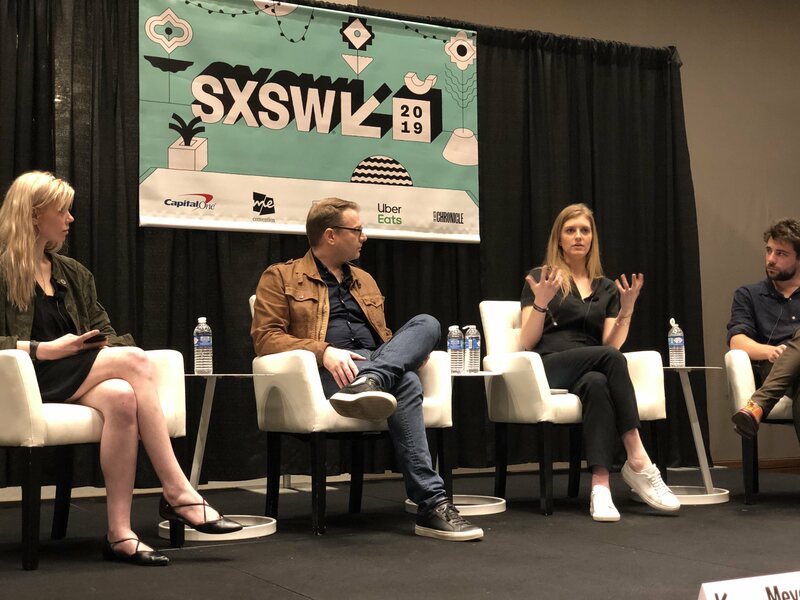 During a panel discussion at #SXSW, “How the Future of VR & AR Will Be Unleashed Through Blockchain,” it became clear that the future is now. Featuring Vanessa Kincaid, BBA Strategic Design & Management ’10, and currently the Chief Brand Officer at Littlstar, a VR company, the discussion focused on the need to have a public blockchain serve as the underlying layer for the new virtual economy. Kincaid also helped explain the fact that by using a public blockchain, it will decouple relationships for creators. That way, creators are not sharing their profits with major corporations like Facebook or Apple, who currently host their material. Ultimately, all of the panelists agreed that a shared, public blockchain is a necessity for the expansion of AR/VR technology. To apply to any of our Bachelor's programs (Except the Bachelor's Program for Adult Transfer Students) complete and submit the Common App online. To apply to any of our Master's, Doctural, Professional Studies Diploma, Graduates Certificate, or Associate's programs, or to apply to the Bachelor's Program for Adult and Transfer Students, complete and submit the New School Online Application.